Ableforth's Underground Named Brand Experience Campaign Winner! 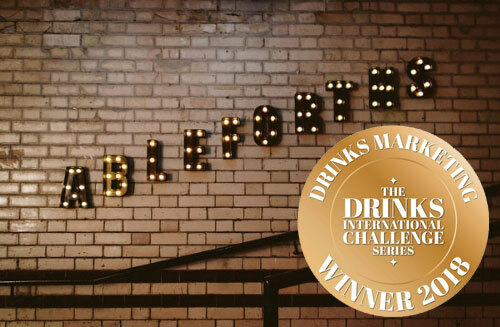 We're more than a little bit overjoyed to share the news that Ableforth's Underground was crowned the Drinks Marketing Challenge Brand Experience Campaign Winner by Drinks International! Our subterranean cocktail and games pop-up has evolved into an award-winning subterranean cocktail and games pop-up! Back in October, we took over a basement in London and hosted Ableforth's Underground for the whole week. With cocktails galore, oodles of games, guest bartenders, an interactive tasting wall and more, safe to say it was a busy but incredibly fun week for Team Ableforth's.